Book your test drive TODAY at WESTMANS #1 PRE-OWNED SUPERSTORE. 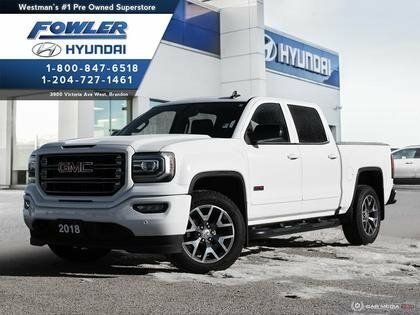 This vehicle has been FOWLER CERTIFIED and comes with a 120+ Point Inspection, No Hassle Pricing, Warranty, 30 Day Exchange Privilege, Complimentary 1st Service, Carproof, & A $50 Gas Card. We also offer on the spot financing. Our Credit Specialists will find the right Credit Solution for you regardless of your credit history. Good Credit, Bad Credit, No Credit. No Problem We will get you approved. Contact us now and let us provide you with a GREAT BUYING EXPERIENCE!!! Fowler Hyundai in Brandon, MB treats the needs of each individual customer with paramount concern. We know that you have high expectations, and as a car dealer we enjoy the challenge of meeting and exceeding those standards each and every time. Allow us to demonstrate our commitment to excellence! Our sales staff is eager to share its knowledge and enthusiasm with you. We encourage you to browse our online inventory, schedule a test drive and investigate financing options. You can check out our auto body shop, and auto glass shop, to learn more about how our expert staff can help you. You can also request more information about a vehicle using our online form or by calling 1-800-847-6518.